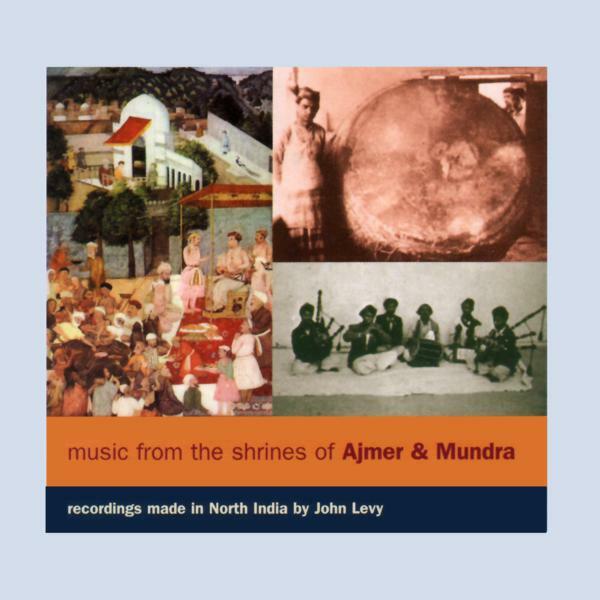 These important recordings of North Indian music, made by the well-known collector and broadcaster John Levy, document classical naubat, traditionally played by musicians in courtyards or over gateways in palaces and temples to mark the hours of the day, using shahna'i (oboe) and naqqara (kettledrums). Also included are examples of popular naubat, Kacchi Kafi devotional song and a rare mashak bagpipe solo. CD reissue of Tangent Records 1970 LP release by the same name. Out of India's great northwest emerges devotional music that pumps. Standing in stark contrast to quieter indoor classical musics often associated with the country, a style known as Naubat fills the air outside, in courtyards, and around Hindu temples. 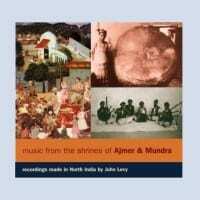 On Music From the Shrines of Ajmer & Mundra a diverse selection of classical, popular, and folk Naubut renditions are presented. In nearly all of these examples a battery of percussionists -- playing pairs of naqqara (kettledrums) and tabla - lay down withering grooves that ebb and flow with the spirit of the song. The shanai - often referred to as the North Indian oboe -- fills a melodic role on a number of these cuts. Its tone seduces as it winds its way in and around the undulating percussive topography. Just remember when listening to this superb CD to crank it up. This is outdoor music that is intended to be loud.